What drew you to the Fulbright program? What about it seemed like a good fit for you and your work at the time that you were applying? I had heard about the Fulbright program while I was a freshman at the College. As a student of Arabic, I was fascinated by the idea of spending a year abroad and working on my own project. I was also drawn to the Fulbright mission of promoting cross-cultural understanding through mutual exchange. But it wasn’t until my graduate studies at the School of Social Service Administration that I felt ready to develop research questions that I could investigate abroad. I had completed an internship as an employment counselor at a refugee resettlement agency. Many of the refugees I worked with were Iraqis and Syrians that had come to America by way of Amman, Jordan. I became interested in their employment histories and began to look at NGOs that provided workforce development programs in Jordan. I learned that unemployment was a critical issue for both citizens and refugees in Jordan, especially among youth. The Fulbright program seemed like an excellent opportunity to investigate the questions I was starting to have about the role of nonprofits in facilitating youth employment. It also seemed like an excellent way to pursue my interests in international social work and build connections with academics and NGOs in the Middle East and North Africa region. I had an excellent experience studying Arabic intensively prior to beginning my research. In many countries, the Fulbright program offers students the opportunity to apply for Critical Language Enhancement Award (CLEA) grant. This is a three-month extension of the 9-month research grant period, and covers full-time language study at an institution in the host country. Although I felt comfortable with my Arabic before arriving in Jordan for my Fulbright grant, I am very thankful I had the chance to further refine my skills. My additional Arabic training has been very helpful in my research so far, allowing me to more fluently coordinate with agencies and conduct interviews. I also made many friends from different countries at my language institute. It was fascinating to hear the perspectives of peers from Turkey, Denmark, Iraq, and Palestine while discussing topics such as daily life and politics in the classroom. 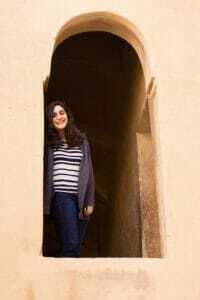 The CLEA grant provided a solid foundation, both professionally and personally, for me to settle into life in Amman and prepare for my research. The Fulbright U.S. Student Program is unique in requiring that the project proposal involve a community engagement component. Can you describe how you went about addressing that (both in the application and in practice now that you are there)? As a social work student, the community engagement component of the project proposal felt like a natural fit. I wrote about how my research with NGOs would require me to engage with the agency’s programming and participate in their community outreach efforts. Although this certainly holds true now that I am here in Jordan, I have also learned that community engagement often manifests in less formal ways. I have been open to participating in different experiences as I meet people in Amman. For example, I grew up speaking Spanish at home, and here in Amman I have met many Jordanians that study Spanish. We have started arranging gatherings to chat together in Spanish and Arabic. Another example is the simple daily exchange that occurs while living in a predominantly Arab, non-expat neighborhood. I have allowed myself to enjoy the company of my neighbors over spontaneous cups of tea and long chats. A community engagement opportunity that I am looking forward to is working with the social work department at the University of Jordan. I will be attending some of their lectures so that I can learn about how social work is taught here, and so that I can share some perspective on how I learned social work in Chicago. I am hoping to develop a side project to share some of these perspectives and perhaps even promote dialogue between social work students in the United States and in Jordan. Andrea received her AM in Social Service Administration in June 2016. She is now researching the role of NGOs in addressing youth unemployment in Jordan particularly, and the Middle East and North Africa generally. She is conducting ethnography at two organizations that provide workforce programs and interviewing stakeholders within the youth employment field.